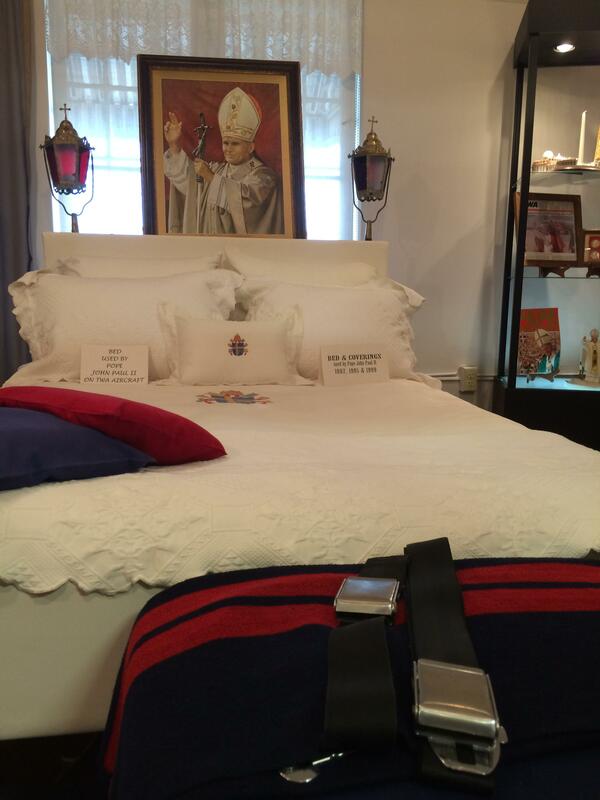 A Kansas City, Kansas, museum remembers Pope John Paul II with a display of his custom airplane bed. 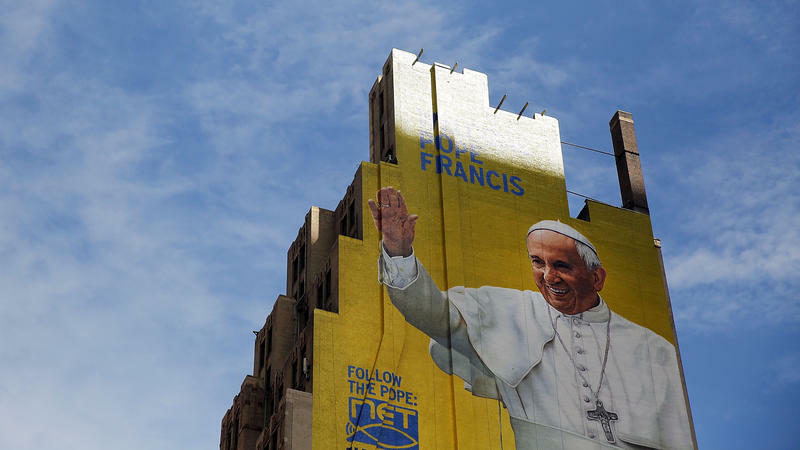 For many Catholics, Pope Francis' visit to the United States provides a thrilling chance to see the church’s highest leader in the flesh. But in Kansas City, Kansas, the Strawberry Hill Museum and Cultural Center still celebrates and remembers a previous pope’s trip to the United States — specifically how he rested during the trip. On display is the former air travel bed of Pope John Paul II, which is now classified as a relic. On the second floor of a building which served for decades as an orphanage, a bed, linens and other travel accessories are displayed behind glass. Though it’s been retired for years, this bed was originally installed on the Shepard I, a customized TWA plane commissioned for Pope John Paul II by the Vatican in the late 1970s. The pope may have been surrounded by lavish accommodations at home in Vatican City, but this small, low-slung bed is relatively modest. In between his visits to the United States, Pope John Paul II's travel bed was housed in a TWA facility in Kansas City, Missouri. Its permanent home is now in Kansas City, Kansas. To ensure the pope was secure while he rested, TWA also designed for him a safety belt which is now folded carefully on a bench at the foot of the bed. Pope John Paul II used the bed on three visits to the United States: in 1979, 1987 and 1995. Between visits and after his final trip, the bed was stored at a TWA facility in Kansas City. After the museum took over the Strawberry Hill building in 1988, the Rev. John Horvat successfully lobbied to have the bed kept there, where the neighborhood’s multicultural heritage is commemorated. 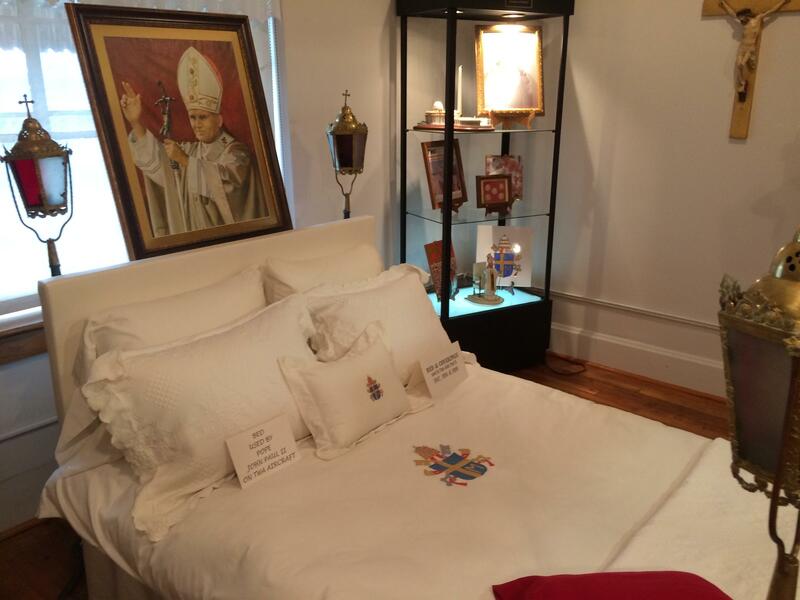 The bed took on a special significance last year when Pope John Paul II was canonized. Because the bed and bedclothes were owned by a saint, they are now considered 2nd class relics by the Catholic Church, according to museum director David Hartman. “The linens have not been washed. So if they do, we lose the value of them,” Hartman says. Though the canonization may have awarded the artifacts with a special official status, their greatest importance to Nastav is still personal. The curator maintains the bed and room and fluffs up the linens once a year. The Catholic Church is located in Vatican City, an ocean away and then some. But what happens in Rome affects the lives of Catholics living in Kansas City, and what happens here reverberates all the way up to the top. This conversation explores whether a perceived shift in the Catholic Church affects the priorities and attitudes of Catholics in our region. 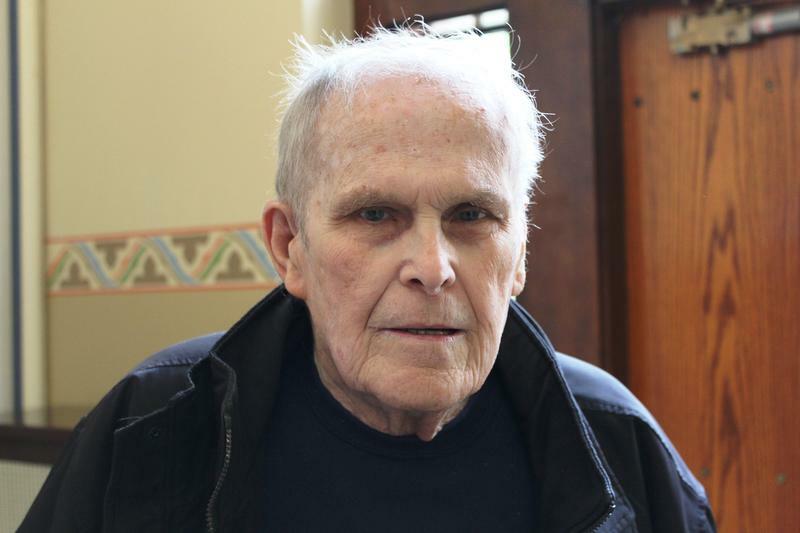 By midday Tuesday, there were still many among the flock of Catholics in Kansas City who didn’t yet know that Pope Francis had accepted the resignation of their Bishop — Robert William Finn. Finn has been at the center of controversy for years. He became the highest ranking official of the church to be convicted of a crime when he was found guilty of failing to report allegations of child abuse in 2012. Kansas City-area Catholics reacting to the news revealed a wide range of opinions. Pope Francis arrives in Washington, D.C., this afternoon for his first trip to the U.S. Here's a look at some of the key moments to watch during the leader of the Roman Catholic Church's six-day visit.